Black History Month means different things to all types of people. This February, the Association of Black Students at Wilfrid Laurier University declared it an open conversation and celebration. In addition to creating posters promoting its culture show, ABS collaborated with the Waterloo campus Bookstore to design a display commemorating the month. The display featured photos and paintings of famous black figures, as well as powerful iconography. Thandiwe Gregg, the member liaison of the association, sees ABS as an accessible service to all students. “[It’s for] anyone that’s really open to learning about what people of the African diaspora may face; we come in all different shades and we’re open to anyone coming who wants to learn more,” Gregg explained. As a unit of the Diversity and Equity Office, ABS receives funding from the university to run its events programming. In the past month, ABS held discussions and collaborated with other associations, including Laurier’s Association of Caribbean Students and the University of Waterloo’s African Students’ Association. Its events reveal an underlying motive to connect with individuals and organizations in the community. 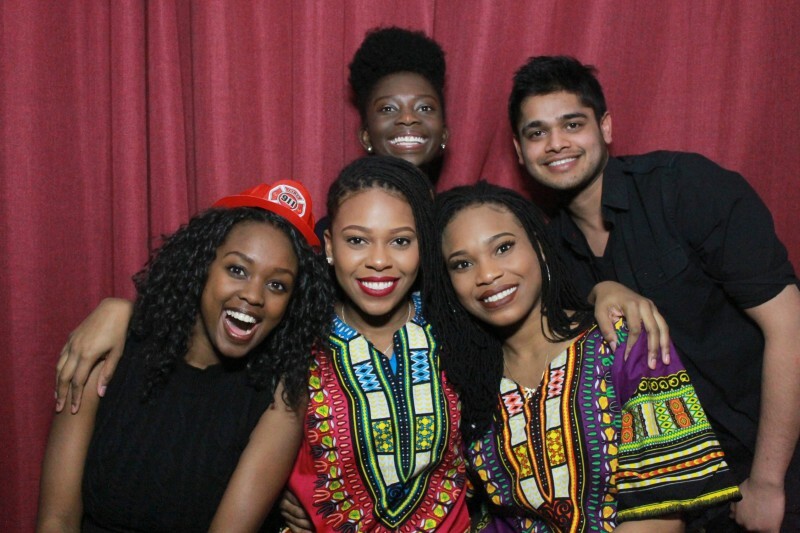 This year’s culture show, held on February 26 in the Turret Nightclub, embodied a progression from the previous year’s #BlackLivesMatter theme. The show stressed its goal of highlighting talent in the campus and the larger Canadian community, with the apt theme of “Black Excellence.” Building on the message of empowerment, there’s a reflective emphasis on recognition and remembrance. “We just really want to recognize our students, what we’re doing on campus and people in the community because some of these people — black people and people of colour — are doing some great things in the community,” said Gregg. For all the work put into the show, a serene ambiance greeted Laurier students, alumni and guests. Besides the audience were booths showcasing art by Laurier students expressing their Afro-Canadian experience. The show kicked off nicely and performers expressed their artistry through dance, spoken word, rap and song. Technical issues sprang up later into the night, but the dancers remained energetic and their spirit infectious. The energy carried into the fashion show, a vibrant and diverse display of colour, texture and pride. Models with attitude presented their cultural dress and original designs while the audience voiced their appreciation. Taking some time from the musical and visual spectacle, the show awarded select guests for excellence in arts, academics, sports and leadership. “This could just be something to propel someone to move forward, and reassure themselves: ‘Yes, I’m doing something good. I’m doing something excellent and no one’s going to bring me down,’ ” said Gregg. Black History Month may be over, but ABS doesn’t show any signs of slowing down. The key to this is meeting at the start of each year to discuss its goals. “It’s always to represent our values: solidarity, empowerment and progress. In any way that we can embody those terms, I think we just shoot and go off with it,” said Gregg.